The SIEBTECHNIK CONFLUX type C tumbler screening machine offers outstanding adaptation options to meet the most stringent requirements in fine-screening and ultrafine-screening technology. It is suitable for classifying, dedusting, dewatering and control-screening. The CONFLUX is a round screening machine with a variable screen set-up and a co-vibrating drive motor with changeable vibration exciter. The vibration patterns can be optimally set to suit the screened material and for the required screening result by simply shifting the unbalance weights of the lower vibration cell. Depending on the number of grain separations required, up to three drums can be mounted on top of one another and so a maximum of 3 separating cuts and 4 size fractions achieved. Oversize and undersize grains are removed at the side, at separate discharge outlets. The screened material is fed in at the centre, above the middle axis, and in accordance with the set vibration characteristic is deflected radially or spirally outwards to the drum rim – the spiral pattern can be adjusted. 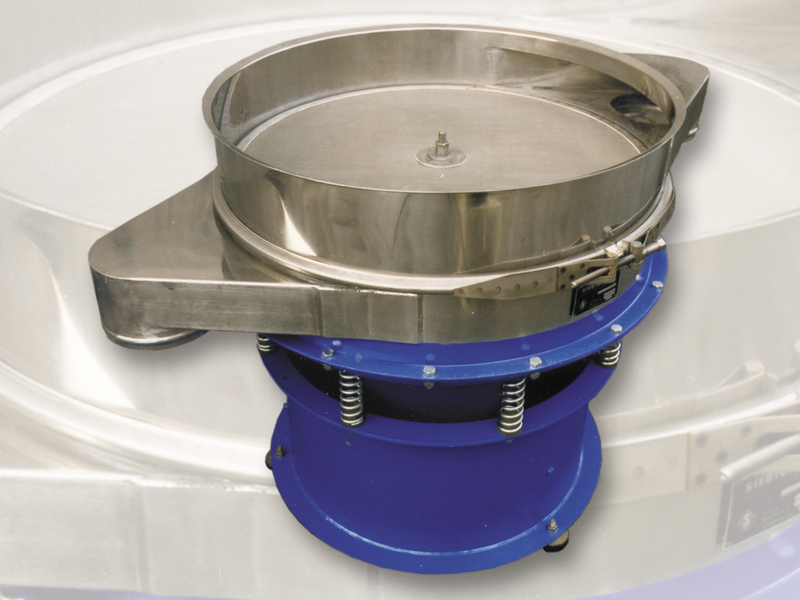 This outward deflection may mean that the oversized grains do not reach the drum rim and so are not discharged. That would be important for e.g. control-screening with a very small oversize grain content. The extent of the spiral deflection essentially determines the dwell time of the screened material on the screen panel and so the screening result. It is dependent on the properties of the screened material, such as grain shape/structure, surface moisture and the desired screening result. 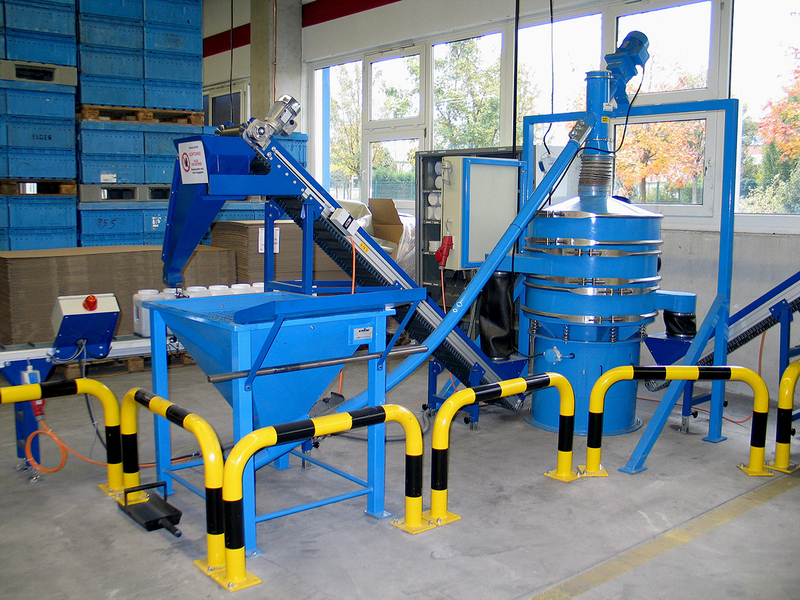 The screen set-up consists of one to three screening drums and is connected to the underframe by spiral springs. The co-vibrating drive motor is fastened below the screen box, in the direction of the central axis. The vibration exciter consists of two round discs with unbalance masses that can be changed when the machine is stationary. The discs are mounted at the shaft ends above and below the motor. The distance of the discs, the size of the unbalance weights on the upper and lower disc and the angle at which they are offset from each other determine with the motor speed the intensity and form of the three-dimensional vibration characteristic.